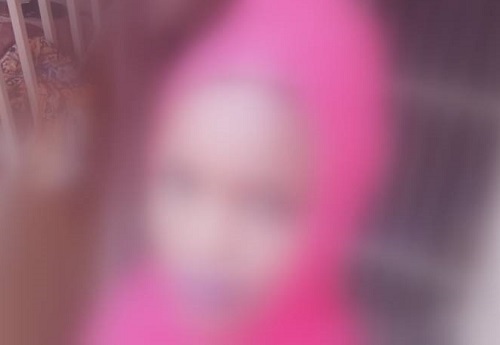 A teenage girl identified as Miss Gambo, who was recently kidnapped at Corner Soja, in Jos North Local Government Area of Plateau State, has narrated how she spent two-days in the custody of her abductors. The Plateau State police spokesperson, Tyopev Terna, had on October 10, confirmed the abduction of the girl, adding that a soldier identified as Abdullahi S., attached to Operation Safe Haven (OPSH), who attempted to rescue her from the abductors was killed in the incident. “I was at home around 7.30 p.m. on October 9 when suddenly I heard gunshots outside our house. Moment later, three people in military uniform came into my mother’s room and asked us to lie down. They started asking ‘Where is the money? Bring money. I said there was no money. “They asked if I was Hajiya. I replied no. They then entered my father’s room and saw my mother. The slapped her and asked her to bring money. At last, they took away all the money that my mother had in the house. “They wanted to go with three of us but succeeded in going with me alone. We walked on foot for many hours in a bush before we finally stopped and spent the rest of the night behind Federal Government Girls College, Jos. “In the early hours of the following day, we moved to another bush along Jos – Bauchi road where we stopped and called my mother. They asked her to bring N10 million as ransom but she said she did not have such money. “She begged them and they later described to her where she would meet us. After she arrived the meeting point, I don’t know what she gave them in exchange but she gave them something, even though I know she doesn’t have that money requested. I then followed her home.